Ohio’s Hospice of Dayton RN Care Manager Jeanne McAleer was among the outstanding nurses recently honored at the Wright State University Miami Valley College School of Nursing Cameos of Caring® Awards. When asked to describe Jeanne, colleagues say she is “always willing to help,” “always a team player,” and “always there when needed.” Teammates and families alike praise Jeanne for being an advocate for her team, her patients, and the families that she serves on a daily basis. Jeanne is selfless with her service to the Ohio’s Hospice of Dayton mission of celebrating the lives of the patients and families that we have the privilege of serving every day. For thirty-years, Jeanne has been serving her communities as a Registered Nurse. Jeanne graduated from Marquette University in Milwaukee, Wisconsin with her Bachelor’s in Nursing Science in 1983. Immediately following graduation, Jeanne began her nursing career in a Medical-Surgical unit at St. Joseph’s Hospital in Chicago, Illinois. During her years as a medical-surgical nurse, Jeanne went to school in the evenings and earned her Master’s Degree in Healthcare Management from DePaul University in Chicago in 1986. Jeanne went on to work on an orthopedic floor and picked up extra work as a home-health nurse, which is where she developed her love for geriatric nursing. 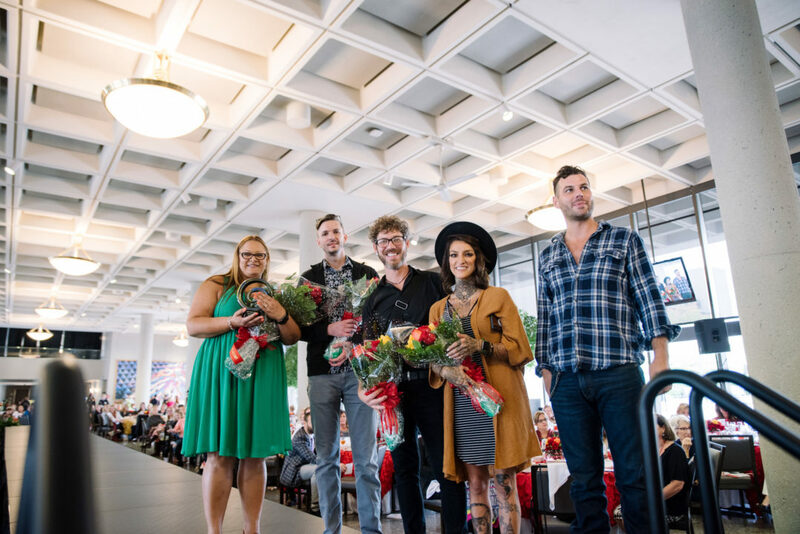 A year after graduation, Jeanne began her role as a Director of Nursing in a long-term care facility, where she served for three years, prior to moving to Dayton, Ohio. Following her stint at Kettering Adult School, Jeanne was offered and accepted the role of Director of Nursing at a new long-term care facility, Walnut Creek, in Dayton. When she started, they didn’t have one patient or one policy in place. 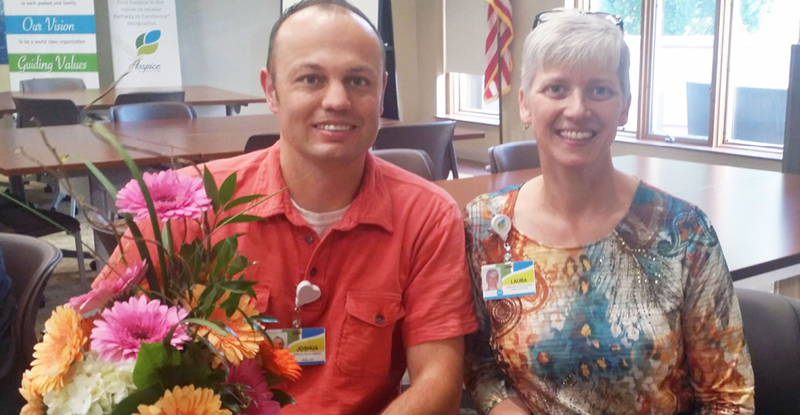 Jeanne was given the opportunity of writing policies, procedures, and hiring additional staff as the facility grew. 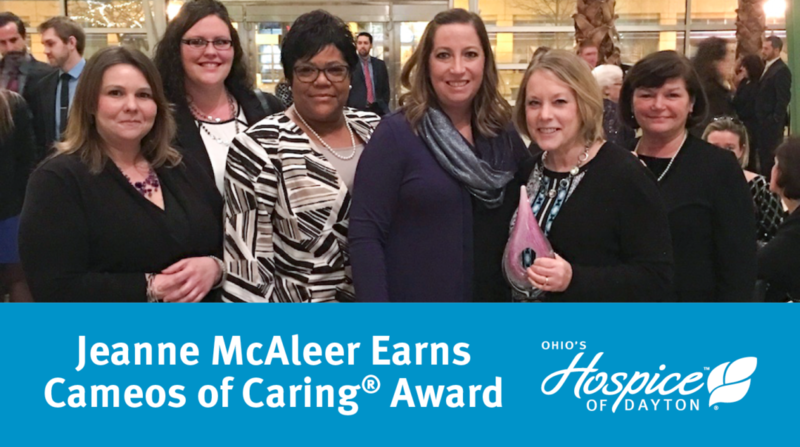 Pictured above (l to r) are Ohio’s Hospice of Dayton personal care specialists Jessica Owens and Leslie Lindsey, Vice President of Patient Care Yvonne Turner, Team Leader Beth Nease, Cameos of Caring recipient Jeanne McAleer, and President Mary Murphy.